Today I caught a 15 inch pickerel at Crooked Lake in Averill Park, NY. 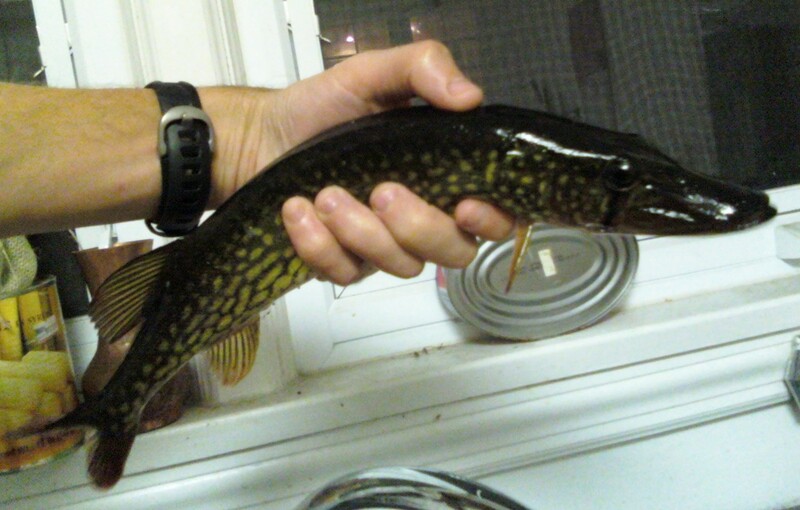 It's the first pickerel I have ever caught that was big enough to keep. They say that pickerel have a lot of little bones. We cooked it up, and it's true. There are a lot of little bones throughout the fish, although they were not too bad. For the most part you could eat the soft little bones, and just ignore them. I would eat one again.